Since 2002, Shermeil Dass, M.D., has provided psychiatric treatment for children, adolescents and adults. 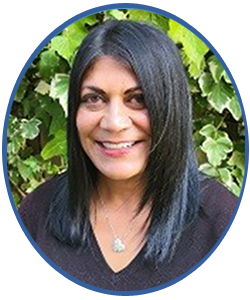 With extensive experience working with clients in both the foster care system and the juvenile justice system, Shermeil Dass, M.D., has unmatched insight and a deep connection to the community of Santa Cruz. At this time, Dr. Dass is not accepting new patients. Dr. Dass's office accepts several insurance plans. 48 hours notice is required to cancel or change appointments. Changes with less than 48 hours notice will result in you being responsible for the cost of the entire appointment (NOT just a copay), and the card on file will be charged immediately. CLINIC HOURS | Mon-Thurs, 10 am to 5 pm. OFFICE HOURS | Mon-Fri, 10 am to 5 pm. Please Call if you wish to come by on Friday.